Understand the components that make up functional and aesthetically pleasing garden designs. Designing gardens can be rewarding and challenging and is also a great way to utilize your creativity. Having the skills and knowledge to make appropriate selections for your garden can be the difference between your garden design being a success or a failure. There are many components to designing a garden that can impact on the final outcome. 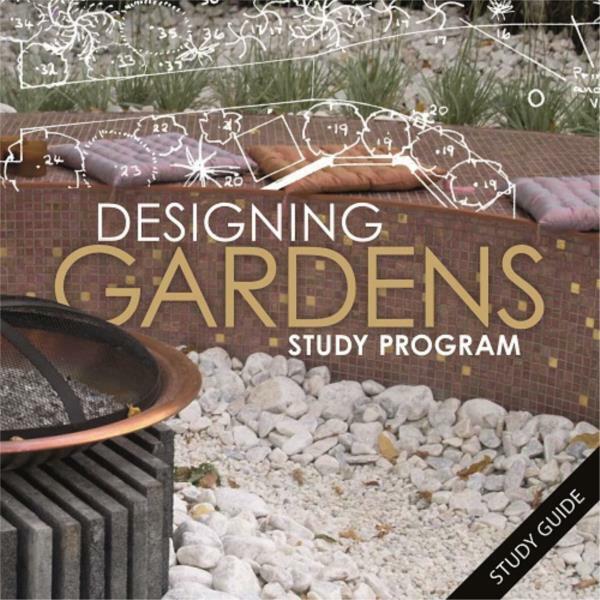 Although this short course is a 20 hour course, this course is a comprehensive guide to designing a garden. Work through the course at your own pace. Do as many or as few of the activities as you need to. There are seventeen lessons in this course from a basic introduction to garden design, to following a budget, plant selection, making the garden meet the house, different designs and using different features to complete your design. As you progress through each lesson you will be provided with a range of ways you can expand your learning. By choosing which tasks you do and don't undertake you can expand in areas that interest you most, and skip areas of less interest. You won't miss anything important that you need to know about garden design as long as you read the notes that are presented alongside these "learn more" suggestions. At the end of each lesson, you will be given a short interactive test to undertake, which will provide an indication of how your learning is progressing. Upon completing the very last lesson, you will be offered a more thorough automated test or examination. This final assessment can be undertaken at any time of day or night; and any day of the week; and if you achieve an overall pass; you will be able to obtain a "certificate of completion", which will have your name on it. • Automated self-assessment tests pop up at the end of each lesson. You can attempt these as many times as you wish; and each time, upon completion, you can see your results. • At the end of the whole course, you are presented with a major automated examination which can be attempted online, anywhere, anytime. • If you achieve a 60% pass in the exam; you immediately receive a downloadable certificate of completion.